The Hawaiʻinuiākea Monograph is the first publishing project under the new Hawaiʻinuiākea Publishing initiative. 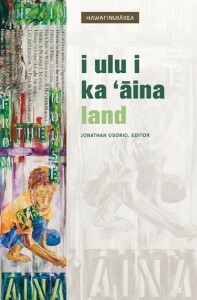 The peer-reviewed series, co-published with University of Hawaiʻi Press, is a venue for scholars, leaders–as well as practitioners–in the Hawaiian community. Each annual issue is a standalone publication featuring a guest editor and a thematic topic. Authors are selected by the guest editor and editorial team and will write about issues, queries, and strategies from diverse fields such as economics, education, family resources, government, health, history, land and natural resource management, psychology, religion, and sociology. Articles are in Hawaiian or English and may include mele, art, and graphics. Each issue also include a current viewpoint contribution by a postgraduate student and a reflection piece contributed by a kupuna. A list of editorial advisory board members is at the bottom of the page. Featuring Puakea Nogelmeier (theme editor), Nahua Patrinos, Kau‘i Sai-Dudoit, Robert Cazimero, Kawena Komeiji, Meleanna Aluli Meyer, Kaiwipuni Lipe, and interviews with Naomi Losch and Isabella Abbott. Available at Nā Mea Hawaiʻi/Native Books and U.H. Press. Jonathan Osorio (theme editor), Neil Hannahs, Dana Naone Hall, Kamana Beamer, Carlos Andrade, Noʻeau Peralto, Jamaica Osorio, Kekailoa Perry, and an interview with Lilikalā Kameʻeleihiwa by Kaiwipuni Lipe.